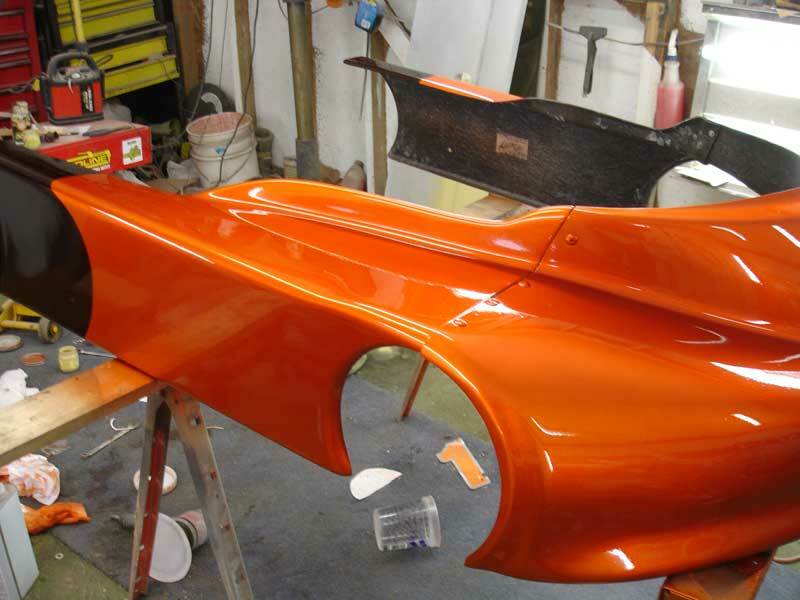 Yes, with our line of Temperature changing paint pigments, you can kustom mix your own coatings. Heat Sensitive Color temperature changing paint. 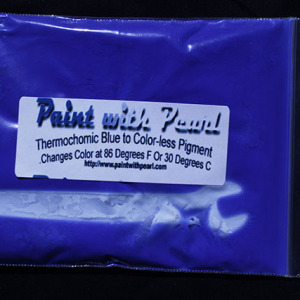 Our typical thermochromic paint pigment will change color at 86 degrees F. We chose 86 degrees because it is the easiest to change with body heat. Kustom Temperatures can be special ordered. 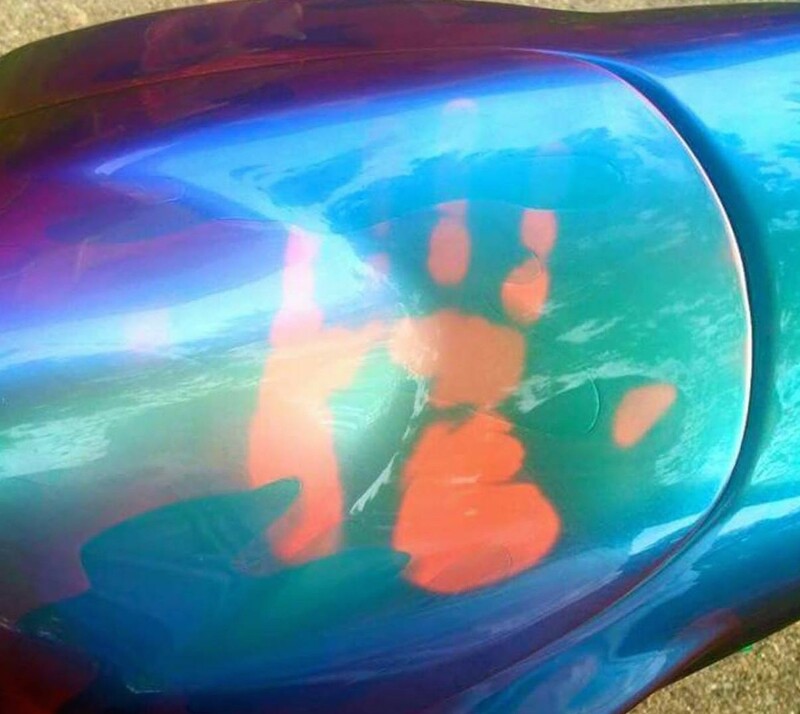 As the temperature rises, the paint disappears to show what is underneath. 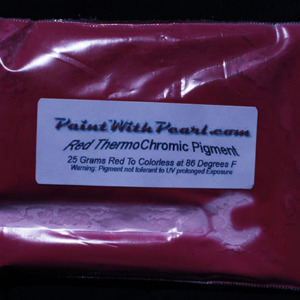 Kandypearls has the best prices on Thermochromic heat sensitive pigments. 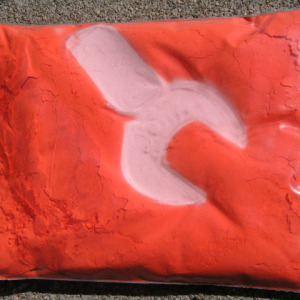 We were the first to sell Thermochromic Pigment on the Web. We always seem to have some left over special-order pigments that we can sell, so feel free to call us or email us to enquire about other temperatures. Some people like cold temperature change paint that can let them know if they have a cold beverage (like on a cup). Others prefer a hotter temperature changing paint to warn them if they may be scalded by something that is too hot, like a child’s bathtub. 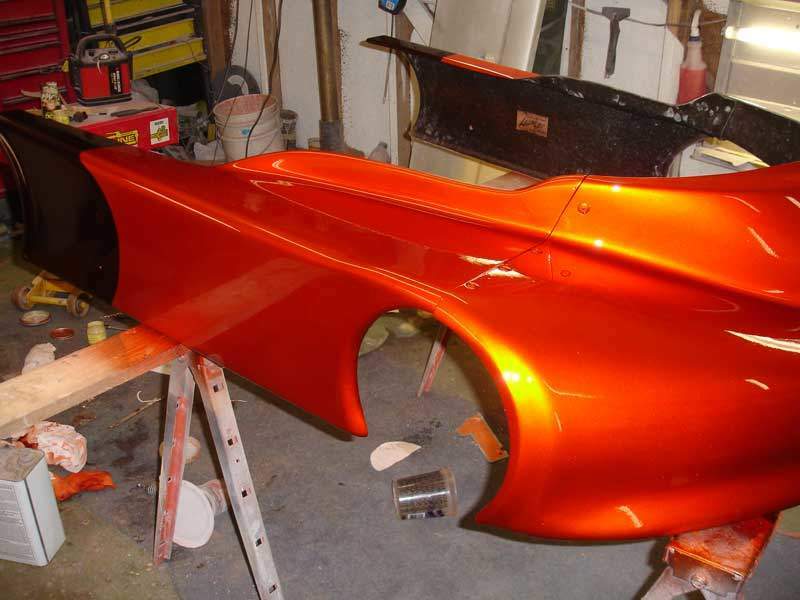 There are so many applications for this paint. It’s not just a pretty effect on a car or motorcycle. 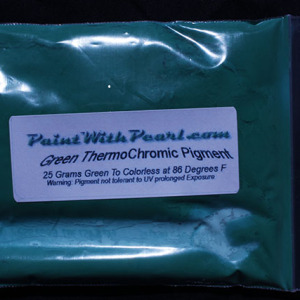 Using our spectre pearls or white kameleon pearls over these thermochroics is always a good idea, as they are highly UV intolerant, and the Titanium Oxide in our pearls (the same ingredient in sunscreen) helps protect the color changing properties of this pigment. Kandypearls is the original seller of pearl pigments on the Internet. We have been around since 2005, and have upheld an amazing reputation in kustomer satisfaction. 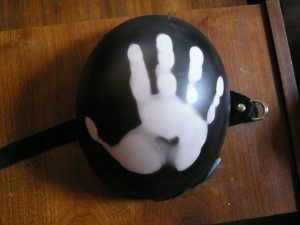 You can always count on speedy shipping and great kustomer service. When you call us, you will always talk to an owner of the company. We have been around for 10 years now and are on our second web site. Check out our old site if you like, and as always, thank you for shopping with us.